Very surprising for such a young whisky, intense vanilla and a hint of coconut, dangerously tasty. Very well done. Re- taste, better then Langskip, but not more then 80 pts. This age and the price. I have a problem with that. Although I'm not a friend of under 12 years old. Spicy or alcohol? Sweet vanilla and a bit malty. Yes, he can promise sweet. OK.
Ok, it's not as hard as expected, but very spicy. A certain sweetness towards bright fruit. Well chosen. Well done, no flaws. No crazy complexity. Vanilla, banana. Touched pretty delicate. Not very singular. My first wolfburn and not really a revelation. But again acceptable for the adolescent age. I'm curious how it would taste more mature with 10 to 15 years. He needs a lot of time in the glass and starts with spicy ginger at the beginning. Then follow malt, vanilla and coconut. Later then sweet fruit gummy bears. Again, mainly spicy impressions. Some light fruitiness and a hint of chocolate are still there. The alcohol is quite well involved. Finish medium long with a little oak and a slightly bitter nut. Dries the oral cavity considerably and therefore stimulates to refill .. I can fully confirm the contribution of erizo. That I forgive a few points less is just my personal rating. Everyone here is trying to keep their relationship with other bottlings they try. 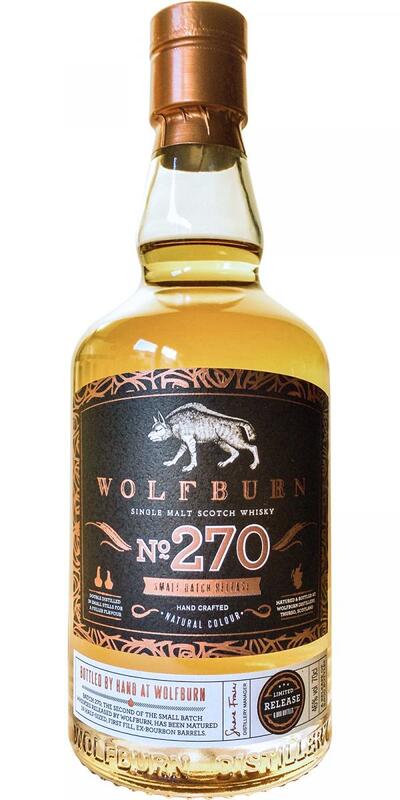 Back to Wolfburn: Although the whisky has a different character, I find myself more often that I compare the products of this distillery with those of Kilchoman. 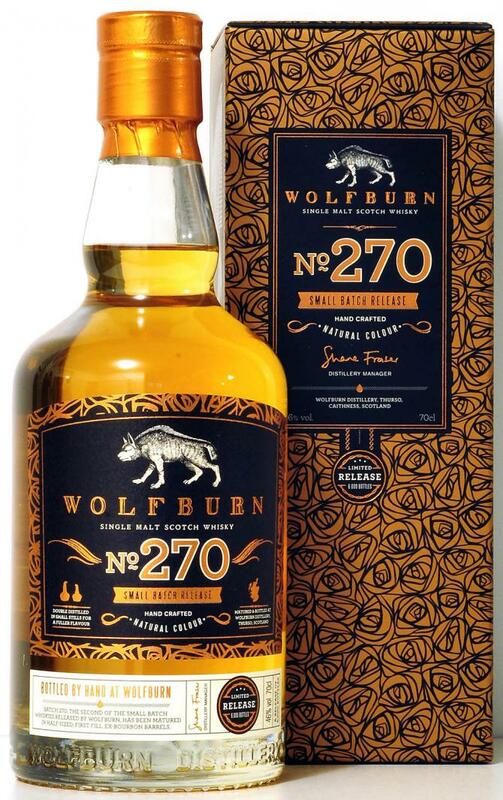 Because Wolfburn it also somewhat similar to Kilchoman also manages to demand surprisingly high prices for very young whiskys, but then surprisingly great whiskys for the age to deliver, so that it is just as surprised to note that the initially seemingly high prices are not quite To be wrongly requested. This # 270 is a new example. Tasty young, without it bothers, intense, yet well-balanced and then also really tasty, which testifies to a lot of skill, very good barrels and a very well-crafted fire.